In March 1996 the Mead Gallery invited a class of Year 5 students from St Andrew’s Benn Primary School in Rugby to curate an exhibition from the Rugby Borough Council Art Collection. 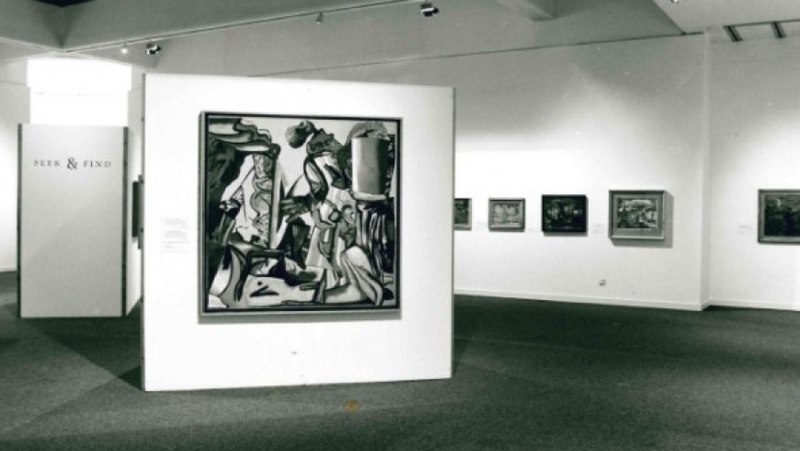 The Collection is housed and cared for by the University of Warwick and shown annually in the Mead Gallery. “Our school was privileged to be able to curate an exhibition at the Mead Gallery. Our aim was to go through a process which would give every child in Year 5 the opportunity to collect, analyse and organise relevant information from a rich source of works of art. They were encouraged to make a personal response and then develop this to be able to express and justify their opinions. This led them to listen to each other’s views andmodify their ideas to suit the agreed selection criteria for the exhibition. “The exciting aspect of this project is that although the seeds were germinated in the classroom, they grew into reality. A huge, real, beautiful art gallery became the working environment and a collection of admired works of art became the source. The children were entrusted with a public place of high status and given a valuable collection to consider. We did not underestimate their ability or expect too much. They worked so hard. We chose from lots of paintings those that looked as if they could have been seen by looking out of windows. We also had to choose one painting for the poster and the invitations. It took us a long time. We had to choose which ones fitted the theme the best and say why the paintings should be in the exhibition. One of my paintings was not included and I felt a bit upset when it was not used. I could see why it would not fit in when we discussed it. They need to work together to think of a plan. I think the artist who painted The Blue Lamp was trying to show us how you can use a title for a painting. It doesn’t matter if it’s the smallest or largest thing in the painting; it will still attract people to the painting whatever age they are. It makes you look more carefully to see if the object in the title is on the painting. When I first saw the painting I thought, why did the artist call it The Blue Lamp because the biggest thing on the painting is a big wodge of fruit! Why didn’t the artist call it ‘Lovely Bowl of Nutritious Fruit’? I like this painting because it made me think about all the colours he had used. The Mead Gallery would love to hear from any of the children, now adults, who took part in this project. What did it mean to you?